In the midst of a public scare over the danger of sharks lurking in coastal waters, another incident occurred on Wednesday when a 10-year-old boy was bitten at Florida's Daytona Beach Shores, officials said. According to NBC 10, the boy, visiting from Georgia, suffered minor lacerations to his calf after sustaining a bite around 1:00 p.m. He was treated and released at the scene, said Tamra Marris, spokeswoman for Volusia County Beach Safety Ocean Rescue. The incident was the fourth of its kind in Volusia County this year, however Marris said that the beach would remain open. At the time of the bite, the boy was swimming in chest deep water, visible to a lifeguard in the area who was able to respond quickly. 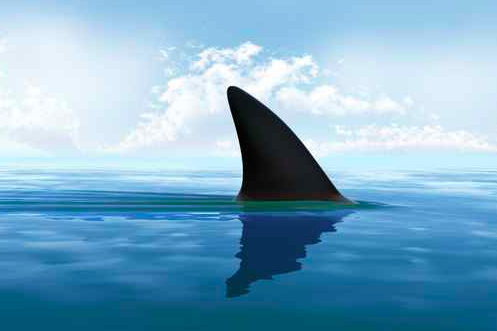 Following recent incidents in North Carolina and the appearance of a dolphin carcass in Wildwood, marine biologists have sought to provide explanations for the bites and attacks while reassuring the public with facts about the dangers posed by sharks.